In the past week, Alaska's challenges with sexual assault have been in the spotlight again -- in connection with an ongoing inquiry into whether Palin abused her power by firing the head of Alaska's Department of Public Safety. Palin's office released e-mails showing that one area of disagreement between her and Department of Public Safety Commissioner Walt Monegan was his lobbying in Washington for $30 million to fund a new program of sexual assault response teams. 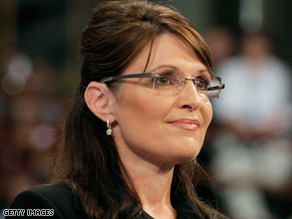 The McCain-Palin campaign insists that fighting domestic violence and sexual assault are priorities for Palin. And they say she has been looking at other programs to support. As governor, Palin approved a funding increase for domestic violence shelters -- $266,200 over two years. And she reauthorized a Council on Domestic Violence and Sexual Assault.